What next for Egypt’s peace with Israel? Before President Anwar Sadat signed the 1979 peace treaty with Israel and won back the Sinai Peninsula for Egypt, Moshe Dayan, Israel’s eye patch-wearing foreign minister, had no doubt about what the deal would mean for his nation’s security. “If a wheel is removed,” he reportedly said, “the car will not run again.” In other words, if Egypt was taken away from the field of battle, the Arab world could never again pose a threat to the Jewish state. After the ruling Supreme Council of the Armed Forces (SCAF) permanently opened the Rafah border crossing into Gaza on Saturday, many in Israel are wondering if the Arab car might have found its throttle again. The SCAF’s decision to permanently open the Rafah border crossing with Gaza, which has been closed as part of a joint Israeli-Egyptian siege on the Palestinian territory since Hamas took power there in 2007, drew sharp criticism from Israeli Prime Minister Benjamin Netanyahu. But for people in Egypt, it was a hopeful sign of new relations with Israel. Ever since Sadat signed the peace deal – a move he calculated would help him emerge from the shadow of his wildly popular predecessor, Gamal Abdel Nasser – Cairo’s relations with Tel Aviv have been out of step with popular Egyptian feelings. A 2007 poll by the Pew Global Attitudes project found that 80 percent of Egyptians felt that Palestinian needs could not be met while the state of Israel existed. Only 18 percent believed the two states could co-exist on an even keel. What will substantively change as a result of the January 25 uprising? Not much, according to Nabil Abdel Fattah, an expert from Al-Ahram Center for Political and Strategic Studies. “I think the same Egyptian-Israeli relationship will continue as before without any significant changes in strategy,” he said. 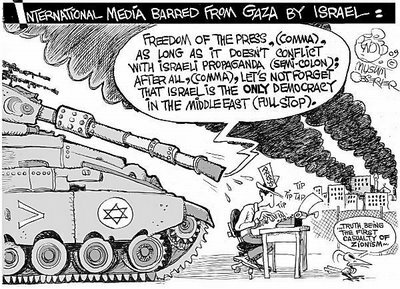 In common with most analysts who spoke to Al-Masry Al-Youm – and in stark contrast to much of the fevered speculation that characterized Western coverage of the Egyptian uprising – Abdel Fattah predicted that the 1979 peace treaty with Israel was not in any danger. Despite the SCAF saying soon after the resignation of former President Hosni Mubarak that it would “respect all treaties” signed by previous presidents, the Muslim Brotherhood – which many expect will be the biggest winner in elections scheduled for September – has not been so specific, contenting itself with issuing vague statements about respecting the will of the people. Many believe that tearing up the peace treaty would be a fool’s errand. Though public attitudes towards Tel Aviv are undeniably icy, a recent poll by the Dubai-based marketing research firm YouGovSiraj also found that 60 percent of Egyptians are in favor of maintaining the status quo. Only 27 percent think that severing ties would be a good idea, according to the survey. There will, of course, be change, said Hamdy, but it will be characterized by a subtle shift away from the warm cordiality which existed under Mubarak. 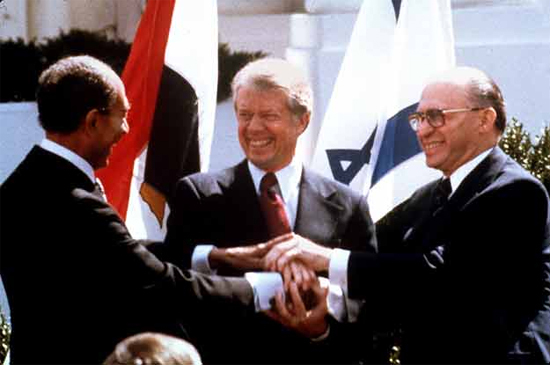 But what Israel and the West might view as an alarming disengagement from the spirit of the Camp David Accords, others should see as a return to a more normal, less imbalanced relationship, she added. As an example Hamdy cited the controversial 20-year deal signed in 2005 in which Egypt agreed to export cheap gas to Israel, triggering anger among some Egyptians who said the fuel was being bought at below-inflation rates. “Now I think it’s going to be a more normal relationship. I think Egypt will distance itself a bit,” Hamdy said. If the new government that comes to power after this year’s elections hopes to reflect the will of the people, then a change in Egypt’s attitude toward the issue of the Palestinians would probably be a vote-winner. Indeed, many of the presidential candidates have already started touting their tough-on-Israel credentials as they launch their campaigns. The SCAF has already got the ball rolling, both by opening the Rafah crossing on Saturday and also by helping to broker a deal between Hamas and Fatah, the two rival Palestinian factions, on forming a unity government. Its next test will be how it deals with Israel’s reaction to a planned UN vote in September on Palestinian statehood. But a much more permanent change in tact will would required to shift away from Mubarak’s cozy relationship with Israel and the US. Internal memos recently leaked to Al Jazeera shed light on the duplicity of the Egyptians in their dealings with the Palestinians. Omar Suleiman, Mubarak’s right hand man on intelligence issues, was cast in a particularly bad light. He was accused by one European diplomat of “discouraging” a rapprochement between Hamas and Fatah after the 2006 elections, while negotiators trying to break the siege of Gaza reported that although Suleiman and Mubarak were promising in public to deliver supplies, no goods were actually getting through from the Egyptian side of the border. “Egypt’s relationship with the Palestinians was very complex,” Hamdy said. “On the one hand Mubarak wanted to establish peace for the sake of Egypt. He believed that Egypt had a stake in peace – that stake was world leadership. The merits of drastically altering Egyptian foreign policy towards Israel – and thus endangering approximately US$2 billion of mostly military aid which Cairo receives every year from Washington as a result of the peace treaty – also seems uncertain when one considers whether it is likely to have any serious effect on changing the Israelis. “It is hard to say whether Egypt will now have leverage on Israeli domestic policy,” said Maddy-Weitzman, the Tel Aviv University professor. He said that Egyptian impotence in the case of Gilad Shalit, the Israeli soldier who has been held prisoner in the Gaza Strip by Hamas since 2006, was an example of how Cairo’s powers are limited. Yet he also said the recent deal between Hamas and Fatah, brokered in Cairo, showed how Egypt’s influence has potential to grow. “If Egypt could have a hand in bringing about a peace deal between Israel and the Palestinians which is seen as acceptable then it would send a nice message to the Israeli public,” he added. Whatever direction Egypt takes after parliamentary and presidential elections this year, there seems to be no possibility of returning to full-scale hostilities with Israel. According to Mohamed Abdel Salam, an expert on Egypt’s military and editor of World Politics magazine, even if a new government did want to rip up the 1979 peace treaty, Egypt would be in no position to fight a war if it wanted to. He added that there was absolutely no incentive whatsoever for either country to break its peace.